W.H. KASSNER, INC. IS AN ORNAMENTAL AND ARCHITECTURAL MISCELLANEOUS METAL SUBCONTRACTOR. FOR OVER 50 YEARS, WE'VE BEEN CUSTOM FABRICATING COMMERCIAL STAIRS, RAILINGS, PLATFORMS, CANOPIES, LADDERS AND MANY OTHER PROJECTS FOR PUBLIC AND PRIVATE CLIENTS. WHK'S 3,500 sq. ft. 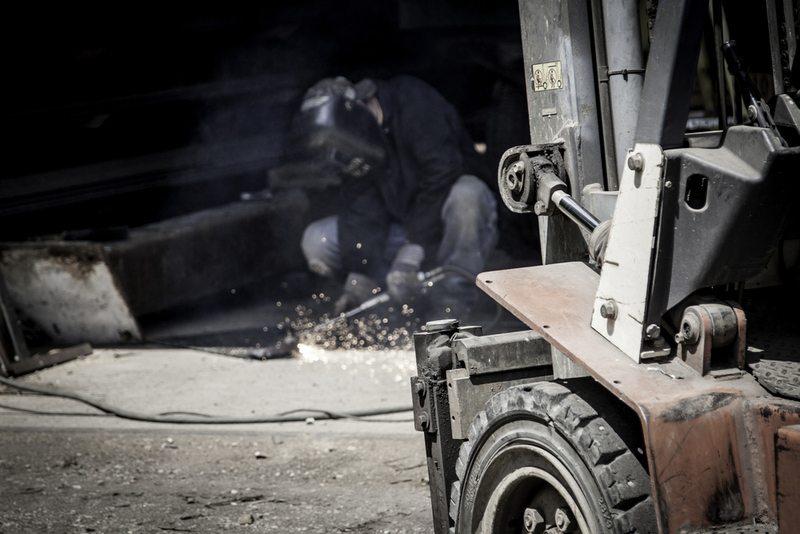 FABRICATION SHOP FACILITY, WITH MULTIPLE YARDS, IS HOME TO THE MACHINERY THAT DRIVES OUR BUSINESS. OUR INSTALLATION TEAMS ARE LED BY STRONG FOREMEN AND PROJECT MANAGERS, AND COMPRISED OF SKILLED, TRAINED AND CERTIFIED TRADESPEOPLE. OUR OWN VEHICLE FLEET ALLOWS WHK THE FREEDOM AND FLEXIBILITY TO EXCEL AT MEETING (OR BEATING) JOB TIMELINES. WOLFGANG HUGO KASSNER (W.H. KASSNER) FLED GERMANY IN WORLD WAR II. A FEW YEARS AFTER HIS ARRIVAL TO NEW YORK CITY, HE ATTENDED PRESTIGIOUS COOPER UNION COLLEGE, GRADUATING WITH A DEGREE IN ARCHITECTURAL DESIGN IN 1939. WOLF FOUNDED THE COMPANY IN 1961, AND BEGAN RUNNING FULL OPERATIONS WITH HIS SON, ERIC IN THE EARLY 1970s AS A SALES REPRESENTATIVE FOR ARCHITECTURAL COMPONENT COMPANIES. AS THEY STARTED COMPLETING INSTALLATIONS, THE DUO REALIZED THEY WERE CONSTANTLY MAKING MODIFICATIONS. 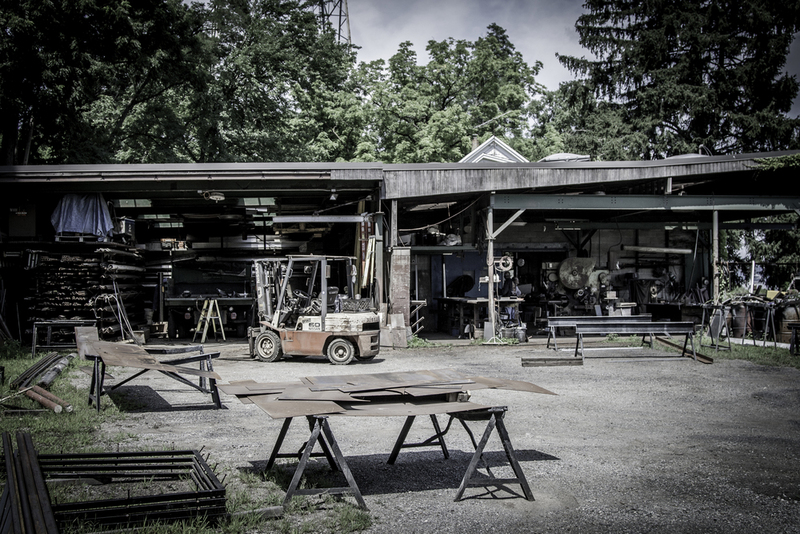 BY THE LATE 1970s THEY EXPANDED TO THE SHOP FACILITY, HIRED TOM PETRO AND BEGAN TAKING ON PUBLIC WORKS PROJECTS. THE REST IS PROVERBIAL HISTORY, AS ERIC AND TOM HAVE COMPLETED HUNDREDS OF PROJECTS IN THE NEW YORK TRI-STATE AREA. "YOU LOOK SOMEONE IN THE EYE. YOU SHAKE THEIR HAND. AND YOU DO WHAT YOU SAY YOU'RE GOING TO DO." W.H. KASSNER, INC. STILL OPERATES BY THAT MANTRA AS A SUB, AND RESPONSIBLE CONTRACTOR. THE PROOF IS ABUNDANT, AS WHK SERVICES MULTIPLE CLIENTS THAT HAVE WORKED WITH ALL THREE GENERATIONS OF KASSNERS. THIRD GENERATION MAJORITY BUSINESS OWNER AND PRESIDENT, ELLIE KASSNER GREW UP AROUND W.H. KASSNER, INC. HER FOCUS NEW BUSINESS DEVELOPMENT AND JOB COMPLIANCE ALONG WITH HER DETAIL-ORIENTED BUSINESS ACUMEN HAS ALREADY YIELDED SIGNIFICANT CORPORATE GROWTH. UNDER HER GUIDANCE, WHK IS A CERTIFIED WBE AND DBE. BESIDES ESTIMATING IN THE OFFICE, ELLIE CAN BE FOUND FIELD MEASURING, MEETING WITH CLIENTS, AND INSTALLING WITH A TEAM. When she escapes, Ellie plays with the best dog in the world, Kafka, and is learning to sail. (Think she's just in it for the rum? So do we.) She can also be found brewing beer and cider, hanging with Zenzi, and zipping around on her motorcycle. WHK SHOP FOREMAN SINCE 1985, LOREN (PROFESSIONALLY KNOWN BY MOST AS DINK) HAS A SHARP TECHNICAL MIND, ALLOWING FOR BRILLIANT FABRICATIONS. AS VICE PRESIDENT, DIRK WORKS TO MANAGE WORKFLOW OPERATIONS BETWEEN THE OFFICE AND SHOP. HIS NATURAL TALENT FOR SHOP DRAWINGS ALLOWS WHK TO PRODUCE ALL SUBMITTALS IN-HOUSE. AS A COMPETENT ESTIMATOR, DETAILER, AND PROJECT MANAGER, DIRK LOOKS FORWARD TO WORKING ON THE VARIOUS CHALLENGING PROJECTS THAT WHK ATTRACTS AS A COMPANY. When he's not cursing at AutoCAD, Dirk participates in adventure runs, competes on a roller derby team and enjoys boating on the Hudson River. WITH THE COMPANY FOR OVER 20 YEARS, ALVINA IS OUR METICULOUS OFFICE MANAGER WHO HELPS US RUN A TIGHT SHIP. STANDARD POODLE, KAFKA, IS THE OFFICIAL WHK GREET-ER. WHEN YOU COME TO THE OFFICE EXPECT A BARK, A LICK AND A LOT OF TAIL WAGGING. SHEPHERD MUTT, ORION, IS SLEEPY AND MAKES EXECUTIVE DECISIONS EVERY DAY ABOUT WHICH COMMANDS TO FOLLOW. YOU CAN FIND OUR PRESIDENT ON THE JOB EVERYDAY. CONSTRUCTION IS NOTHING WITHOUT SAFETY. NOT ONLY DO WE MEET SITE SAFETY REQUIREMENTS, BUT AT WHK WE TAKE PREEMPTIVE SAFETY MEASURES TO PROTECT OURSELVES. ALL CONSTRUCTION STAFF IS TRAINED IN OSHA CONSTRUCTION SAFETY, HAZARDOUS COMMUNICATION AND CONFINED SPACE TRAINING. KEY FIELD TEAM MEMBERS ALSO HOLD FORKLIFT AND SCISSORS LIFT TRAINING. IN OUR COMMITMENT TO PROVIDING THE HIGHEST QUALITY OF SERVICE, WE'VE MAINTAINED AN A+ RATING ON ISNETWORLD, A THIRD PARTY SAFETY AUDITOR FOR OVER 10 YEARS. FOR LOW VOLTAGE ELECTRICAL WORK ON AUTOMATED DOORS, TECHNICIANS HAVE RECEIVED NFPA 70E ELECTRICAL SAFETY IN THE WORKPLACE TRAINING. ASI DOORS FOR OVER 20 YEARS. ASI CLEANSEAL DOOR SYSTEMS ARE RIGHTFULLY KNOWN AS THE PREMIER PHARMACEUTICAL CLEANROOM DOOR MANUFACTURER. ASI OFFERS A COMPLETE LINE OF FIBERGLASS AND STAINLESS STEEL SLIDING, SWING, ROLL UP AND FIRE DOORS. THEIR EXPERTLY ENGINEERED PRODUCTS ELIMINATE AREAS FOR MICROBIOLOGY TO GROW, AND HOLD UP TO EVEN THE MOST DETAILED WASH-DOWN PROCEDURES. WHILE SOME OF OUR CLIENTS HAVE BEEN WITH US SINCE THE BEGINNING, WE ARE ALWAYS FORGING NEW RELATIONSHIPS WITH CONTRACTORS AND END USERS WE'RE PROUD TO SERVE. Thank you! We have received your form and will be in touch soon.